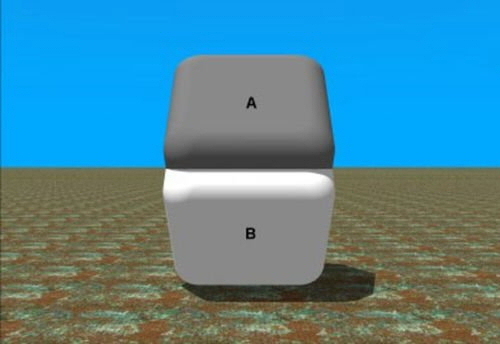 Block A and block B above are actually the same color. Don't believe it? Place two fingers horizontally over the shadowed areas of the blocks so that only the non-shadowed parts of the blocks are shown. Wow, right? This illusion happens because the misleading light and dark shadows trick your brain into thinking the colors are different.